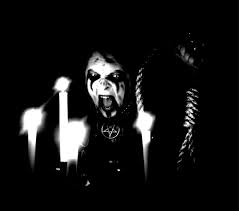 La Flamme et le Lys: Métal Noir Québécois | A Motley Miscellany of Oddities, Buffoonery, Criticism & c.
Firstly, the black metal of Québec (at least the black metal I am talking about) has little or nothing to do with Canada. Nothing against Canada (or Canadian metal for that matter), but what makes this scene so distinctive is the backdrop of the history of Québec/Nouvelle-France as a nation (lots of fascinating info here), not to mention the French language, especially romantic perhaps, to people like myself who don’t understand it. 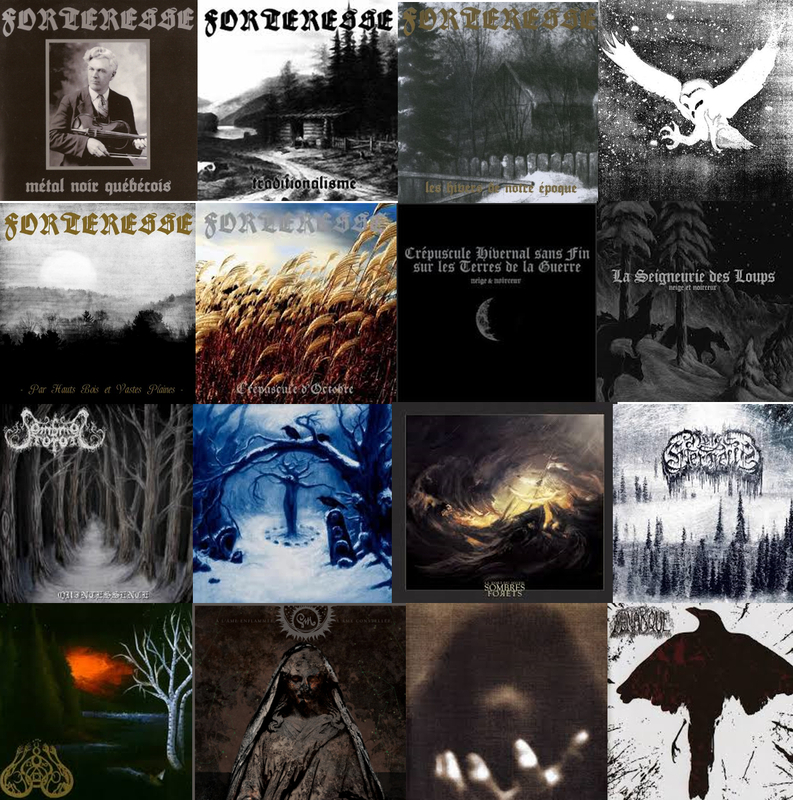 Two ironies recur endlessly in black metal: firstly, despite the avowed individualism of almost every BM band, the genre has come to be defined in part by national scenes, with various identifying features. 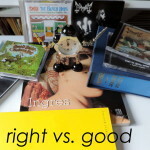 The most obvious (because most famous and because it put many of the genre trademarks in place) is the Norwegian scene of the early 90s, but for me, the Québec scene has arguably been the most distinctive and consistent over the last decade or so. 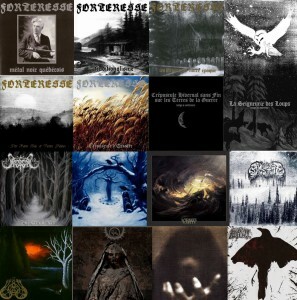 Secondly, despite the rhetoric of superiority common in certain areas of the genre, much of the best black metal (especially the nationalistic/heritage-leaning kind) takes a large part of its melancholy atmosphere from a history of defeat and hardship rather than one of victory and supremacy; the image of snow covered ruins or desolation that grace the cover art of a large proportion of black metal releases may represent the defeat of black metal’s enemies, be they the Christian church, or modern urban civilisation, but the fact is that nowhere in the world is there or has there been a black metal elite ruling over a subjugated population of cowering slaves. 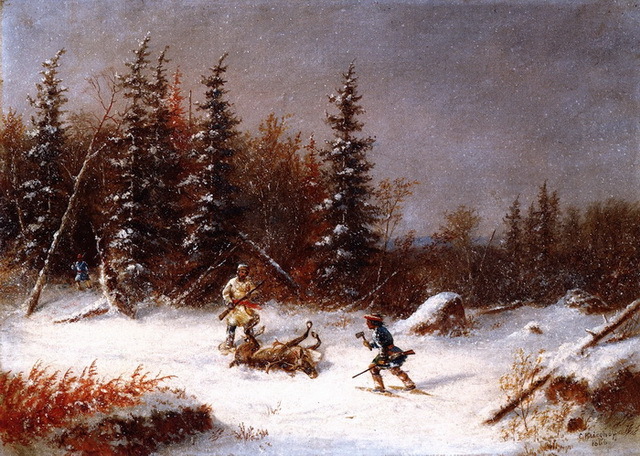 In fact, more commonly than not, ‘heritage BM’ (absolutely horrible term, can’t think of a less insulting one) has at its heart the supplanting of native cultures and traditions by Christianity, but with Québec the focal point historically is the destruction of the colony of New France and the (to a degree ongoing) marginalisation of its culture and traditions within the later UK/US-influenced construct of Canada. 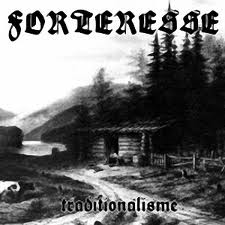 This kind of history of hardship, neglect and respect for nature and tradition is the exact mixture of musical/historical/ideological inspiration that can make nationalistic (a sinister word, but it doesn’t necessarily have the fascist connotations of National Socialist Black Metal, of which see here) BM such a potent-sounding music. 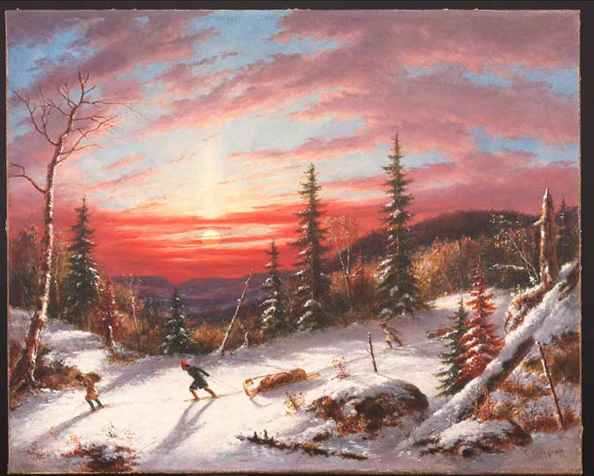 It should be pointed out though, that the settlers of Québec were not the first people there, and the history of the native peoples of Canada is even more marginalised and bleak than that of the first European settlers. Sadly I have yet to hear any native American black metal, if there is such a thing (I would like to hear it if there is). Possibly the essentially European (and, taking into account the influence of the blues, even African) nature of heavy metal makes it unlikely to be embraced by heritage-minded individuals of native American backgrounds. 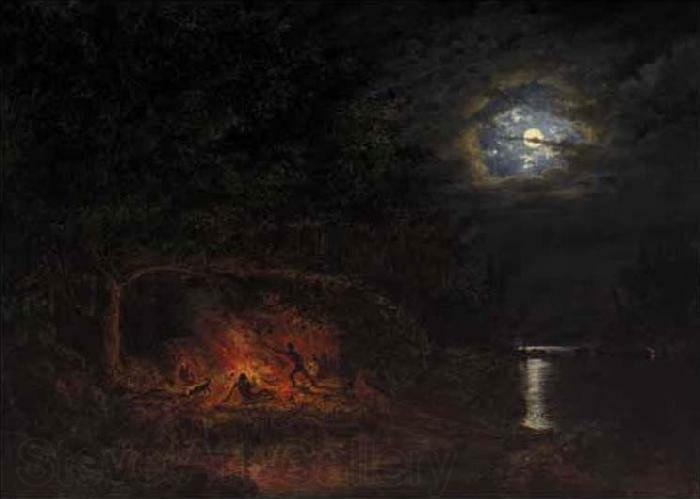 Still, the fascinating history of New France and Québec is more than troubled enough to account for the emotion that exudes from the best black metal of the nation. 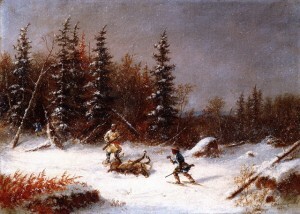 There is no doubt that in the New France the settlers’ lives were difficult; even aside from the daily hardship that was (and in many places still is) inherent in the lives of people living from the land, the extreme climate and landscape of Québec – especially in the winter – made peoples’ existence precarious at best. 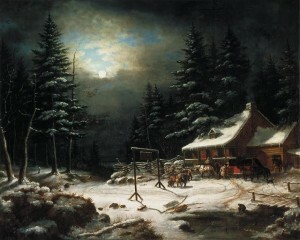 The paintings and drawings of Dutch emigrant Cornelius Krieghoff (seen here) – in some ways a parallel figure, in BM at least, to Theodor Kittelsen in Norway – vividly depict these struggles while also representing something of a nostalgic ideal through their picturesque depiction of an isolated and self-sufficient community. 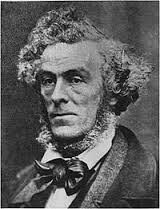 It should be noted though, that the history of New France dates back to the 1500s, so by the time of Krieghoff’s travels in Québec in the mid-19th century, the people’s connection with France was already a near-mythical one. Perhaps because of the vast differences – not just in terrain and climate, but also government and society – between France and its colony, New France quickly gained an independent identity of its own. 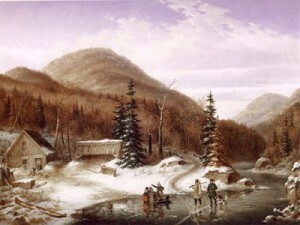 Though the language and many of the traditions would remain French, the connection between Québec and its mother country would quickly become minimal, despite various rebellions against the English-speaking oppressors throughout the 19th century. 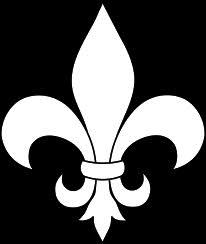 All of these factors have helped shape the character of Métal Noir Québécois. 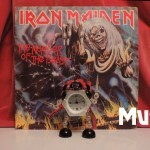 Although not one homogenous sound, most of the bands have some common ground. 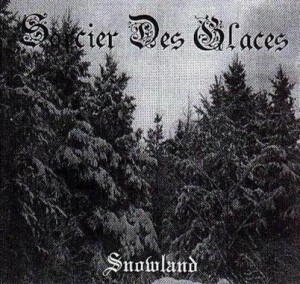 Much of the imagery of the genre is that common to black metal in general; the iconography of forests, frost, snow, autumn and winter landscapes – it is particularly appropriate for Québecois black metal. 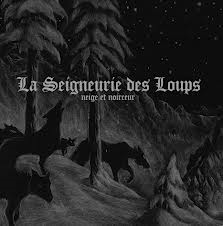 There is a strong vein of nature mysticism in the music, often lurking as a subtext, but occasionally, as in Neige et Noirceur’s masterful Hymnes de la Montagne Noire, taking centre stage. 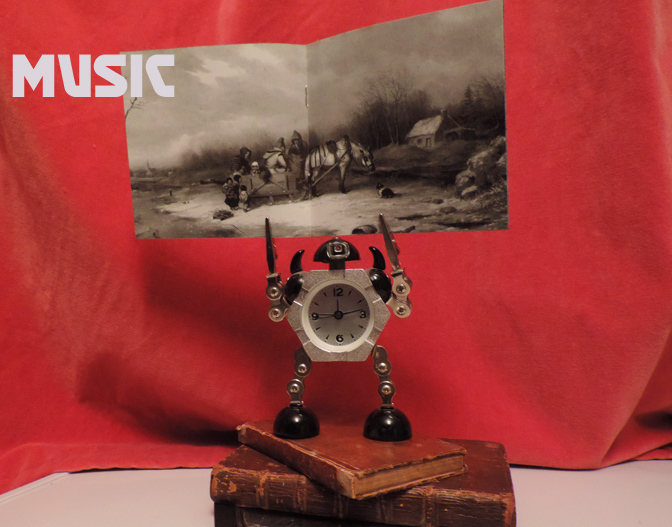 Likewise, the use of folk elements is hardly new to black metal, but the distinctive folk music of the area uses instrumentation unusual to BM (such as accordions as well as fiddles) and has a unique, archaic flavour which is extremely evocative when used well. Neige et Noirceur again provide a good example with their strangely sea-shantyish Ancien Folklore Québécois. It’s not all ‘New France’ though; although primarily French-speaking, other influences helped shape Quebec, as the presence of Dutchman Cornelius Kreghoff in the colony suggests. In fact the excellent-but-mysterious one-man project Ziel Bevrijd has a Dutch name, suggesting (maybe?) 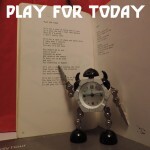 an alternative heritage, although Viingrid writes lyrics mainly in French. 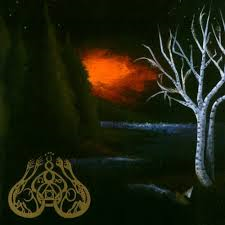 Musically speaking, the strongest influence on the Québec bands is probably Burzum, specifically the albums Hvis Lyset Tar Oss and Filosefem, the primitive mix of fuzzy guitar and fairly basic synth being surprisingly adept at conjouring epic wintry landscapes as well as desolate misery. 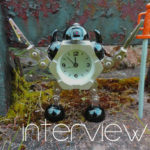 This band has been around since the late 90s and if not the most distinctive – or the first – of Québec’s BM bands, they have never made a bad record. 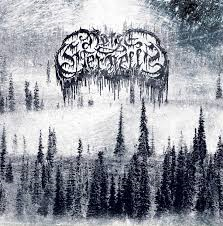 Atmospheric but more upbeat (as well as faster and less French) than many bands in the scene, albums like the definitive Snowland and 2011’s The Puressence of Primitive Forests are highly recommended to fans of expansive post-Burzum BM. 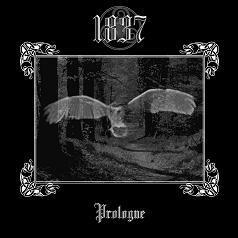 A pretty marginal band, but with a name derived from the year of the Québec patriotic uprising and a (to my knowledge) sole EP, Prologue (2010) to their name, 1837 seem in some ways to be just what obscure local BM is all about. 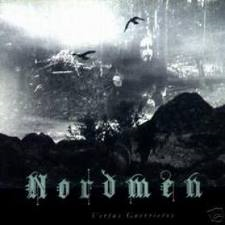 The EP is strong, but pretty harsh, very similar to Celtic Winter-era Graveland. Perhaps the greatest of all Québec BM bands, their manifesto-like Métal Noir Québécois defined the genre, bringing together Burzum-esque epic-but-melancholy BM with traditional Québec folk music and imagery. 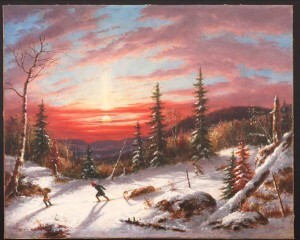 Les Hivers de Notre Epoque is if anything even better, less ferocious but even more atmospheric. 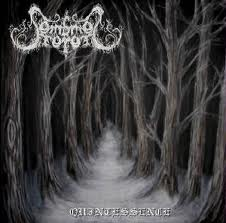 In a similar vein to Forteresse, but slightly more ambient and snow-shrouded and less folk-influenced, Sombres Forêts are one of the more melancholy bands in the scene. To my ears their best album to date is 2008’s Royaume de Glace, a despairing masterpiece with some of the best vocals of any Québec BM album, especially when Annatar shrieks hoarsely over relatively clean guitars on songs like the great The Forest. 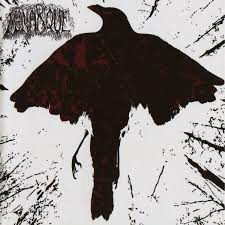 Another one-man band whose style veers close to Forteresse (and indeed Burzum) at times, NeN have a discography which encompasses folk, ambient and of course atmospheric BM elements, all albums are good, but Crépuscule Hivernal sans fin sur les Terres de la Guerre from 2009 has a particularly intense and obscure atmosphere. A somewhat schizophrenic band, Brume d’Automne veer between some of the most folk-influenced music in the genre (for example La mort d’un patriote from their debut album Fiers et Victorieux) to a strongly punk-influenced sound on songs like Quand Les Corbeaux Crient Leur Haine. Far more typical, being essentially a very prolific one-man project (sort of – Monarque is sometimes joined by a live drummer) in the epic/atmospheric BM vein. 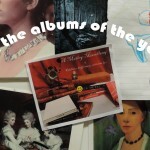 Another artist with no bad releases (that I’ve heard) but the 2013 opus Lys Noir is particularly strong. 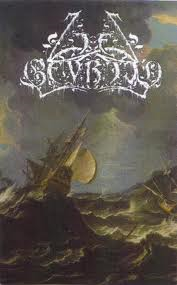 Another great band signed to Sepulchral, Gris play extremely poignant-sounding, at times lush BM, very sophisticated and with at times a Shining-like quality. It’s hard to choose between their two excellent albums, the first, Il Etait Une Forêt somehow has a magical, almost hushed quality even at its most raw, heavy and tormented, while their latest A L’Âme Enflammée, L’Âme Constellée… has a vast epic grandeur. 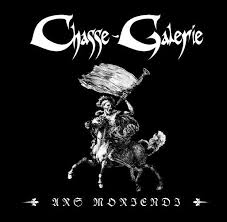 A strongly folklore-inspired band where Québec BM meets Falkenbach, Chasse-Galerie specialise in high-velocity melodic BM with at times a heroic flavour and lots of good tunes. Mentioned above, this strangely-named act is far from prolific (and sometimes scorned for the lo-fi qualities of its output), Ziel Bevrijd’s self-titled album and split with Csejthe (a very good band who don’t quite fit what I am writing about) should definitely be checked out by anyone into bands like Marblebog or (of course) Burzum. 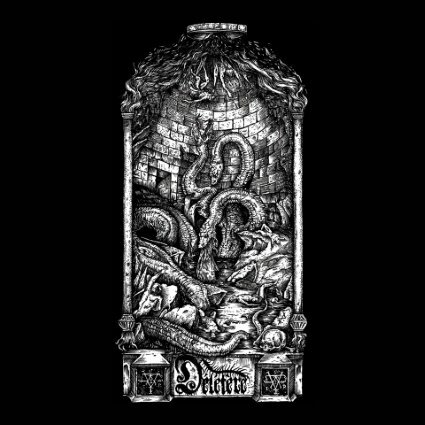 Pretty standard orthodox BM with a strong atmosphere, NS by reputation (hard for me to say based on song titles in French) and pretty good despite a slightly thin sound. 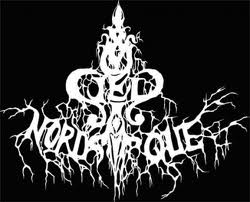 To date, Ciel Nordique have released one demo, in 2005, but it’s a very accomplished one, balancing aggression and melancholy perfectly. 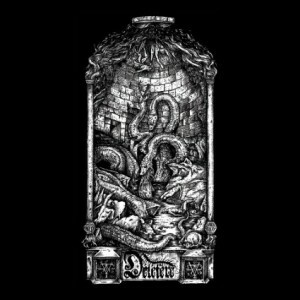 Still relatively new on the scene, Délétère so far have one excellent full length album, Les Heures de la Peste to their to their name. 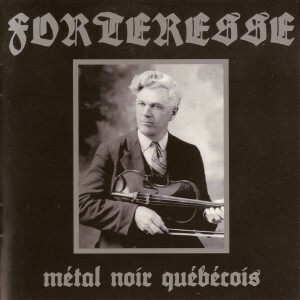 Better still, because more raw and concentrated, are the demos collected on De Ritbus Morbiferis; a set of songs that utterly embody the raw melancholy and stormy, snow-covered landscapes that define Métal Noir Québécois. And that’s probably enough for now….